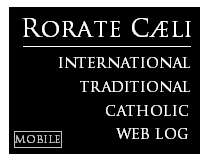 RORATE CÆLI: On the 11th Anniversary of Summorum Pontificum: Axes of Interpretation - Priests, enjoy your freedom! 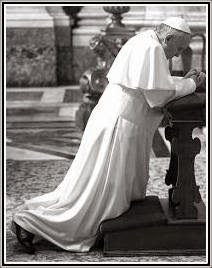 On the 11th Anniversary of Summorum Pontificum: Axes of Interpretation - Priests, enjoy your freedom! Eleven years ago, we published the following text: we do not have reason to alter one iota of it. 1. The text must be read from "bottom to top". Summorum contains 12 articles of law*, in its very end, the heart of the text. They recognize facts and rights, establish rights which are new or were unclear under previous law, and create new obligations. This is extremely important: those 12 articles are the law. Naturally, other points of law apply (general principles, concepts explicitly mentioned in the articles themselves, as well as other applicable canonical aspects), but neither the introduction to the articles (the first part of Summorum), much less the cover letter sent by the Pope to the Bishops, nor any other text may be invoked to suppress or curtail the rights recognized or created by the Supreme Legislator in the 12 articles. *There is a 13th article of law, which is the determination of a "vacatio legis" from July 7, 2007 to September 13, 2007. Thankfully, the articles of law of Summorum are mostly quite clear. And where they may not be clear, there is a Roman Dicastery ready to provide the appropriate interpretation and probably unwilling to renounce to its recent increment in power (cf. Art. 12), to be specified by the Roman Pontiff in the future, according to his will (cf. Art. 11). 3. Summorum is a new "Constitution" of the Roman Rite. The Supreme Legislator wished to create a liturgical framework for priests and faithful - particularly for priests. It is a "Constitution", not as a theological document, but in the legal sense that it is a foundational law, a law above other laws: that is very clear, for instance, in the extremely important articles 2 and 4 (Masses without the people or "private Masses", with or without attending faithful), and 9, § 3 (free use of the Roman Breviary), which are the very embodiment of the liberation. Summorum is, then, "above" the mere liturgical dispositions of the Latin Church. It is a legal revolution in the mutual cohabitation of what are now called the two forms of the Roman Rite: that is, the Missal of Paul VI may still be the "ordinary form", but it is not the standard compulsory form, from which some priests (due to particular deference or the charism of their order or society of apostolic life) are exempted due to special favor ("indult"). 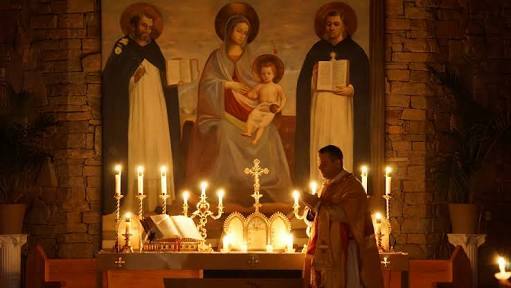 The age of the "indult" is over; the age of mere "episcopal generosity" is over: Summorum is a true liturgical Bill of Rights for all the priests of the Latin Church. Dear Priests of the entire world, cherish and make full and good use of this document: it is not the property of "estranged minorities"; it is not the domain of "nostalgic clerics"; it belongs to all of you, it is your charter of liturgical freedom.